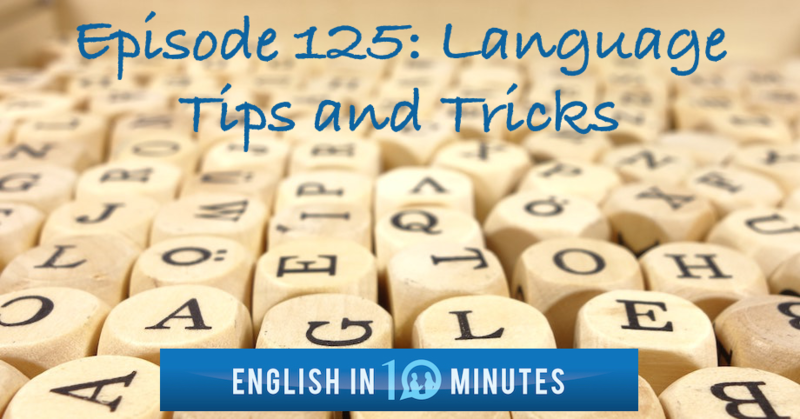 Every third episode of the English in 10 Minutes podcast, we have a guest on the show to tell us their story or to talk about a place they know well. We do this to give you more real, interesting content, and to give you a variety of voices and accents to listen to. Some of our most popular episodes (such as Rio de Janeiro, Different Worlds and Being Bilingual) are guest episodes. I really enjoy recording the guest episodes because I always learn more about my friends and colleagues by doing them. Our next guest, who was kind enough to record three conversations for us, is worthy of an introduction. I once described him in writing as ‘the incomparable1 Ted Chang’ and I stand by that2 today; I’ve never met anyone quite like Ted. Wendy and I first met Ted, who is Canadian/American of Taiwanese descent, along with some other travellers in early 2007 on the rooftop of a budget guesthouse in the town of Djenne, Mali. 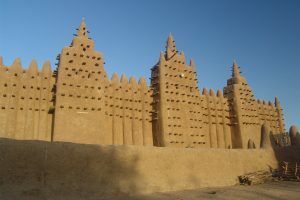 We were all travelling long-term in West Africa at the time and had descended on Djenne for the famous Monday market and to see the equally famous mosque that is the largest mud-brick structure in the world. We all shared a similar outlook on travel and spent hours swapping stories on that rooftop. 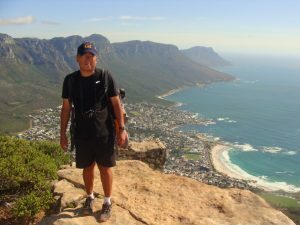 Ted quickly showed himself to be an encyclopaedia of knowledge3 on visas, border crossings, public transport, internet connectivity and pretty much anything else related to practical overland travel all over the world. After that first meeting in Mali, we crossed paths with4 Ted again later on that trip in Burkina Faso and Ghana and consolidated our friendship. After that, however, we didn’t see Ted again for nine years until he turned up on our doorstep in Geneva last year for a flying visit5. As fate would have it, he’s now living in Cape Town and we’ll see him again in a month or two towards the end of our current trip in southern Africa. As the old adage6 goes: when it rains, it pours. The three episodes with Ted will be the next three guest episodes of the podcast. In the first of these, he talks about his Taiwanese heritage and, in particular, how his parents left Taiwan but how his father never really adapted to his new life and always dreamed of returning. I think you’ll find it very interesting. In the second episode, Ted talks about the fascinating network of passages underneath the city of Paris and the many hours he spent down there while he was living in Paris. This is definitely a different side of this famous city! And finally in the third episode, Ted talks about his current home city: Cape Town. He discusses the natural beauty of the city and its cultural mix. Ted speaks a lot and speaks quickly, so the conversations with him are quite advanced. Don’t worry if you don’t understand everything – sometimes it’s hard for me to keep up with Ted too! As always, the episodes will come with transcripts as part of our worksheets, so you can follow the conversation that way too. And repeat listening will help you understand more and more each time. To make sure you don’t miss any of the conversations with Ted, be sure to subscribe to the podcast on iPhone, Android or Stitcher, and like us on Facebook to receive updates there.